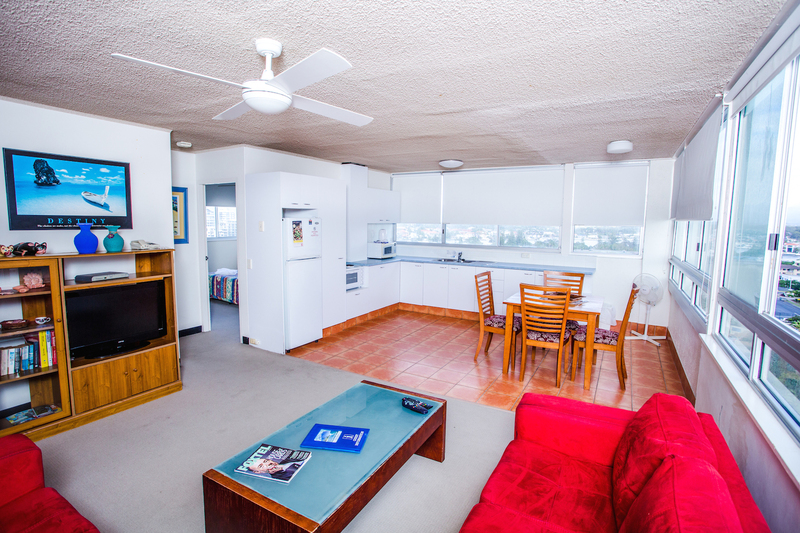 Why stay in a cramped hotel room when you can enjoy the space and comfort of one bedroom apartment accommodation on the Gold Coast? Our one bedroom apartments all come with fully equipped kitchen (stove, microwave, fridge, kettle, etc), Queen size bed in the bedroom (and a sofa bed or rollaway bed in the lounge on request at additional cost), a direct dial telephone, ceiling fan, free wifi, iron and ironing board, full bathroom and partial ocean views. In our superior one bedroom apartments you can also expect a separate eating area, higher floors, guest amenities starter pack and 600mb free wifi. We can also offer a same-day dry cleaning service or do your own washing in our coin operated laundry rooms. Don’t delay, book Gold Coast accommodation today!